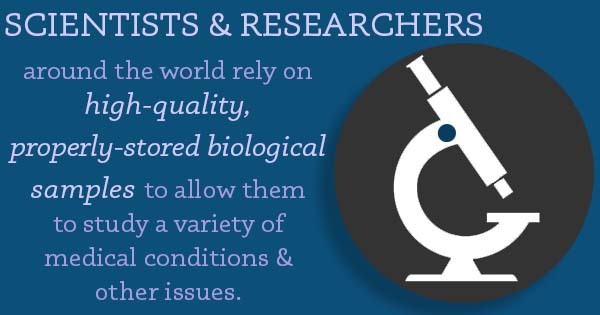 Scientists and researchers around the world rely on high-quality, properly-stored biological samples to allow them to study a variety of medical conditions and other issues. For this reason, many private and academic research centers keep biological samples, such as blood, plasma, saliva and purified DNA, on site for easy access. However, because of the sheer number of samples needed to conduct a number of different projects, these research centers need specific facilities to store and manage their total freezer inventory. This is where biobanking centers come in: referred to as biorepository management facilities, biobanks collect, store and distribute biological materials, controlling huge amounts of data that are analyzed for numerous different purposes. Recently, the University of Arizona became the latest organization to invest in a biobank, simplifying the research process for its scientists and unaffiliated researchers who rely on samples to continue their work. In previous years, UA had a number of different laboratories scattered around its campus, which made efficient sample management difficult. Now, the university has announced that it plans to build the Arizona Health Sciences Center Biorepository to rectify this problem. The biobank will store all of UA’s samples in one location, which will be both delivered to the facility and collected by staff members. Dr. David T. Harris, a professor of immunology, has been appointed to serve as the biobank’s executive director. Harris has stated that he has many goals for the center, including collecting samples of populations unique to the American Southwest. He also hopes to consolidate, catalog and share samples across different campuses and research centers to improve access and expedite different studies. In regards to the latter goal, UA’s biobank may benefit from biorepository management systems, defined as laboratory sample management software that allows researchers to search for appropriate samples, such as those from donors with specific medical conditions, for a particular study and transmit requests for the samples in question to be retrieved.